Stephen Hind is the creator/writer of Steegle.com, an excellent crossroads of everything Google Sites related. Stephen is a Top Contributor on the Google Sites help forums and a well-known Google Sites guru. I’m an IT Manager for a training company in the UK. My history of using and developing for the web started when I used to own my own company and a customer wanted me to make some web pages, so I learned how to. I moved on from there to work for the National Health Service in the UK, developing and maintaining websites for them. At the NHS I learned a great deal about PHP, MySQL but most importantly accessibility and usability. From there I moved to RWP Training where I was employed to look after their IT infrastructure and develop some web-based projects and re-develop the website. (Kyle looks it up) Spaghetti Carbonara, let’s face it - you love bacon and cheese. When and why did you start using Google Sites? 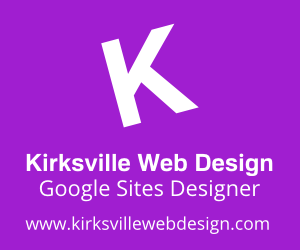 I started using Google Sites the week it was released. I saw it promoted on the Google Apps sign in screen as Google Sites was only first available as part of Google Apps. I thought “websites created by a Google tools - we’re on to a winner here”. I immediately gave it a go and I saw it would be a really powerful App. I noticed there were some limitations and didn’t know why so I went along to the Help Group and asked a couple of questions. I found that I could answer way more than I needed to ask and the Google Employee that manned the forum was very responsive, so I stuck around and answered a lot of questions. We all appreciate your help on the forums. You are all over the place answering the tough questions that users like me used to have. I think a big ‘thank you’ from the Google Sites community is in order. Expect a dozen roses coming your way. How was the Google Top Contributor Summit? Fantastic! It was great to meet all the people I have been chatting online with for so long. It was a wonderful opportunity to get face-to-face with Googlers and the other TCs. Google was very open and gave us a great insight into various products. The Google Top Contributor Summit was a gathering of Google Help Forums’ most prolific helpers on September 12-13. It was the first event of this sort. Several Google Sites top contributors attended. For a recap on this event at the Googleplex at Mountain View, CA see this blog post. What do you think the future of Google Sites is? Exciting! Now Google has released page-level permissions, a huge update to Google Sites, they can start working on other stuff, so the future is bright. What do you think Google Sites biggest flaw is? Well I don’t think Google Sites has flaws but it definitely does have missing features, but that’s how Google works: release early and iterate. What I’d love to see is Public Comments (that will make Google Sites behave much more like a blog) so I definitely want it, also having CSS would be fantastic so you can make your sites look even better, but you don’t seem to have any trouble in doing that! What’s next for Steegle? Any big plans or just stay the course? Just stay the course: I work full time so the stuff I do on Google Sites is something I do in my spare time. I love watching Google Sites develop and get better over time so I don’t think I will ever get bored of it or want to move to a different platform. Thanks for wanting to interview and thanks to Google for the Summit, a fantastic two days. Thanks to the Google Sites Team for all of the updates they have provided over the years. It was great to see the recent addition of the +1 button for Google Sites and my Google Analytics shows that people are using it a lot. Stephen is online on twitter @Steegle and +Stephen Hind on Google +. His website is a mainstay for Google Sites education at http://www.steegle.com. Nice interview, Kyle. Stephen truly brings more to Google Sites than anyone can adequately convey. I know he's been a huge asset to me over the years, and I can only assume that the Google Sites team feels the same. Thanks for the comment ~b man. Yes, Stephen is awesome and a very nice fellow to talk with. Thanks for this post - enjoyed it. I read every word of the posts that interest me, are well written,SEO India and actually supply worthwhile information. This makes me feel better about the SEO work I need to do. Very interesting and helpful to get better search engine ranking rapidly Hire Dedicated SEO Solvonix tech. My experience in web design have the same roots as Stephen Hind, being pushed by the demand to learn. It's good know more about Stephen Hind. A top contributor and an owner of a great website like him deserves this interview. Thanks!